When money is at risk, open stock markets generally insist on openness, although there are murky exceptions, especially in Canada. It also turns out that business secrets are much harder to keep in the Russian market than elsewhere. That’s one reason the Russian risk discount is so high: the ability of Russian stakeholders to conceal material facts of asset value and title, related party transactions, and tax, transfer price and other administrative sanctions is far weaker than you will find in the developed stock exchanges or even in other emerging markets. 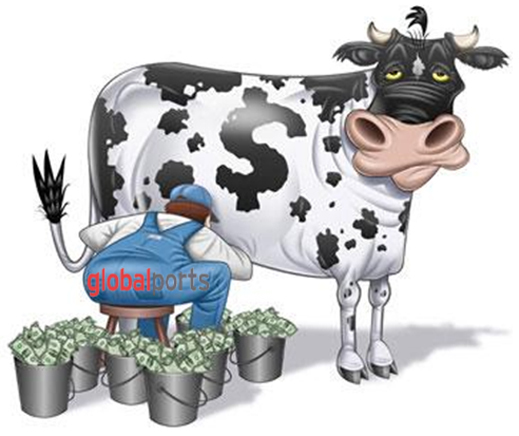 Global Ports Investments (GPI), which belongs to Nikita Mishin, Andrei Filatov, and Konstantin Nikolaev, did what the London regulator, Financial Services Authority, required in the prospectus they released on June 16. But then they asked their underwriters – Deutsche Bank, Goldman Sachs, Morgan Stanley, and Troika Dialog (now owned by Sberbank) – to prevent as many people as possible from reading it. To make the 373-page text even more difficult to follow, the customary inclusion of a search box and scan programme were omitted. So to understand what investors are being told – and also not told – by GPI, it is necessary to read every page. 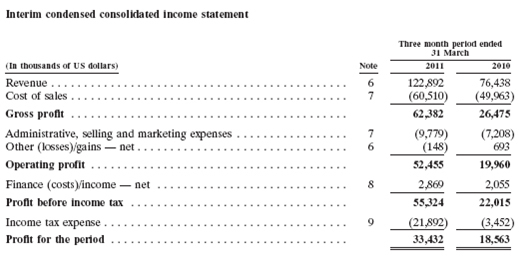 With appreciation to Morgan Stanley and Goldman Sachs, here for everybody’s purposes is the prospectus in full. For a reason that goes almost unrevealed, and certainly not explained, a 10% stake in GPI was sold by the three shareholders to someone else during 2009. What remains in control is Mirbay, but the prospectus says nothing about how Mishin, Filatov and Nikolaev own that company, and with whom. 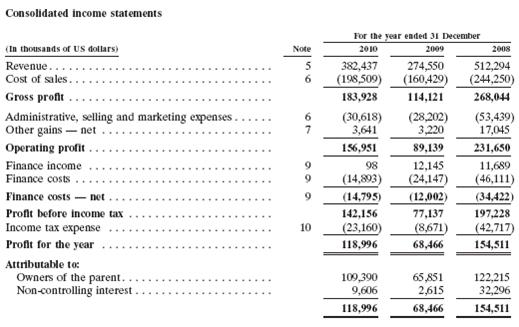 “The applicable tax rate used for 2010 and 2009 is 20% (2008: 24%) as this is the income statutory tax rate applicable to Russian operating subsidiaries, where a substantial part of the taxable income arises. In the end of 2008 the applicable tax rate for the Russian subsidiaries was reduced from 24% to 20% effective from 1 January 2009. The statutory tax rate for OAO Petrolesport (included in Russian ports segment) is 15.5% (2009: 15.5%; 2008: 20%) because of tax benefits granted by the authorities of St. Petersburg. Effective from 31 December 2009 the tax rate for PLP is 15.5% for the three years that the benefit is granted and 20% thereafter. The effect of this benefit is shown in the tax reconciliation note above as ‘‘Tax effect of reduced tax rates of OAO Petrolesport’’. This benefit expires in three years unless additional investments in qualifying assets over RUR 300 million (approximately US$10 million) will be made in the following year. Here’s how the controlling shareholders control the operating units comprising the group. 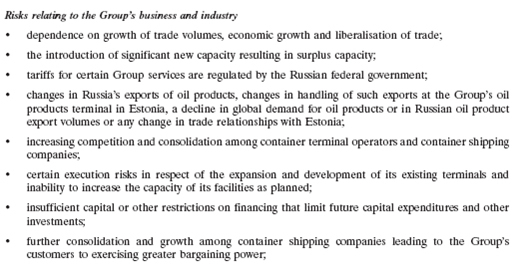 But the Kremlin’s willingness for political strategic reasons to allow crude oil exports through the Baltic states waxes and wanes, depending on how the Baltic states behave. It should be clear that if Russian crude oil and petroleum exports were reduced by Kremlin order to Estonia, this part of GPI’s business would suffer. That’s because the proportion of revenue accounted for by the Estonian terminal has ranged from 22% of the aggregate to 41%. 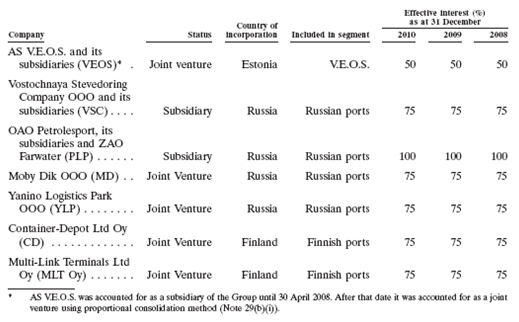 If, for example, the politically influential Gunvor group decides that the competitive interest of its new petroleum products terminal at Ust-Luga, on the Russian shore of the Gulf of Finland, would benefit from cuts in the export volumes to rival Estonian ports, does anyone at GPI imagine they would be shy in pursuing that objective? The possibility has not been considered appropriate for GPI investors to consider. As for its business strategy and the targets of capital investment and acquisition, the prospectus is dully uninformative: “The Group plans to expand its asset portfolio and grow its operations by pursuing ‘‘greenfield’’ projects and through a selective and disciplined approach to acquisitions. 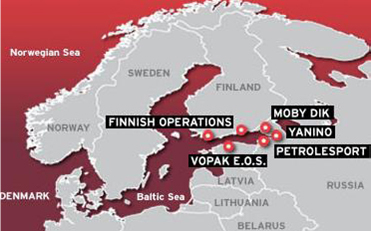 The Group will evaluate potential targets against their strategic fit with its existing assets, such as by pursuing targets in regions focused on Russian cargo flows, and the potential for high growth in the relevant market, particularly in Russia, the CIS and other countries with high expected growth and which are complementary to its existing operations. The expansion potential of targets, the ability to achieve operational control and the likely return for shareholders are among key criteria for the Group’s development with a clear focus on the potential value to be created rather than the overall size of a potential project or acquisition. For ‘‘greenfield’’ projects, the Group plans to actively seek ‘‘brownfield’’ terminal sites with the potential to be developed into large-scale container terminals, as well as sites for inland container terminals in and around urban centres in Russia.